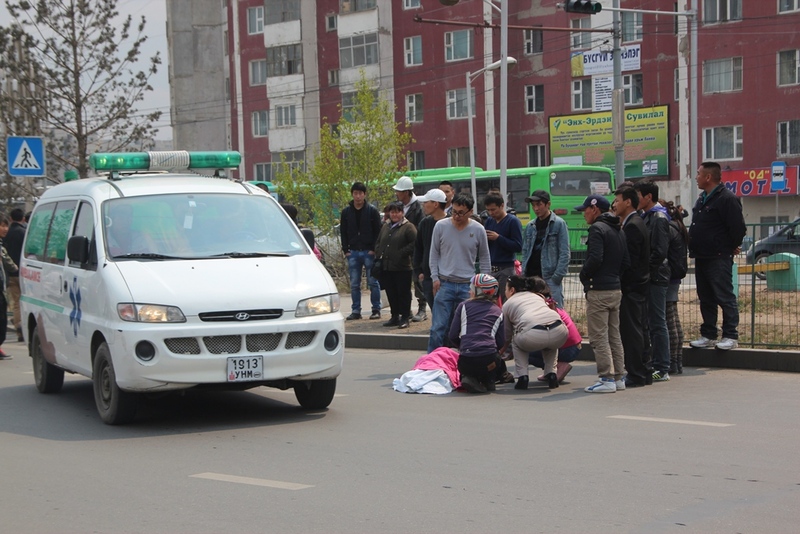 The traffic and pollution is dreadful in UB – we had seen quite a few car crashes here but on our ride to the bus station we came across this poor little nine year old girl who got hit by a car. The least we could do was try to help keep her warm with our blanket and stop anyone moving her until the emergency services finally arrived. Did you find out if she was ok?